IDX Matrix CRM is super-efficient and offers the users with the facility to send bulk emails to their lead groups. IDX Matrix CRM is super-efficient and offers the users with the facility to send bulk emails to their lead groups. We understand when the business wants to run extensive sale campaigns, then surely one email at a time is not enough. That’s why we’ve introduced this feature of bulk emails to improve businesses functionality. You can send up to 1000 of emails a day. 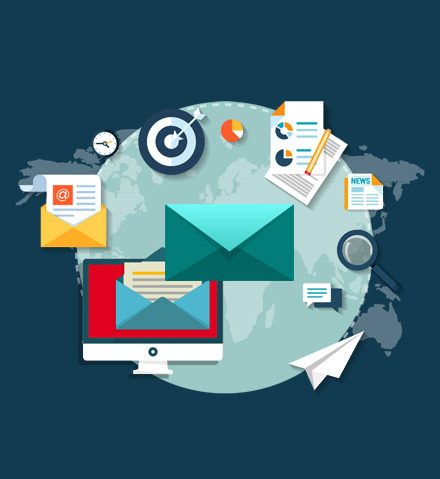 Bulk mail sending option is beneficial for the agents and brokers to give the information about the recent properties and the meetups to all the leads just at a single click away. IDX Matrix understands the need and importance of communication with customers in any business scenario. However, what else could be the best way than communicating through email. IDX Matrix offers an option of using email to reach your thousands of customers by sending mass emails. You can create an autoresponder, schedule mass email and can easily create email template which is always ready to use. Everything inside your CRM! Get free email marketing in IDX Matrix which allows sending emails in bulk directly from inside your CRM! It helps you to keep all the correspondence with a client in one place so that you know the entire history. More with your Sales CRM! Get the fastest and real time alerts on email opens and new emails. You can connect at the right time with our CRM system. You can schedule your email at the time and date so that you’re leads groups can read on the right time. You can check your emails which are automatically linked to the appropriate lead or contact’s record. You can track who have opened your latest email or clicked on it. Also, when did they engage? It was never so easy before but with our IDX Matrix CRM email integration, you can track the performance of all your emails from sales CRM.